Yahoo! Chart Watch reports that Pharrell’s smash single “Happy” has just topped the four million mark in digital sales. That means it’s outsold “Get Lucky,” which currently stands at 3.475 million copies. “Happy” is also the first song to sell that many copies in 2014. 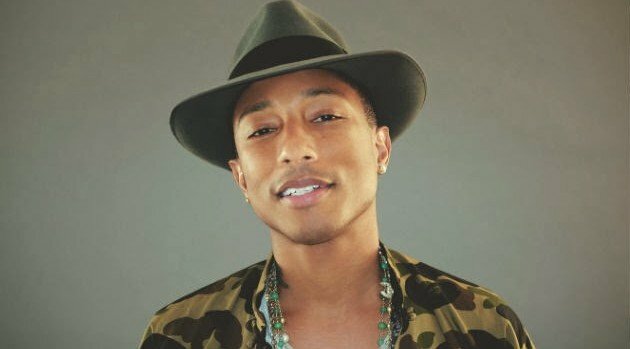 Unfortunately, Pharrell still has a ways to go if he wants to beat that other huge hit he had last year: “Blurred Lines.” So far, that tune has sold 6,995,000 downloads. The Oscar-nominated “Happy” has spent eight weeks at #1 on the Billboard Hot 100. That’s the longest run at #1 for a male solo artist since 2005, when Mario‘s “Let Me Love You” was #1 for nine weeks.